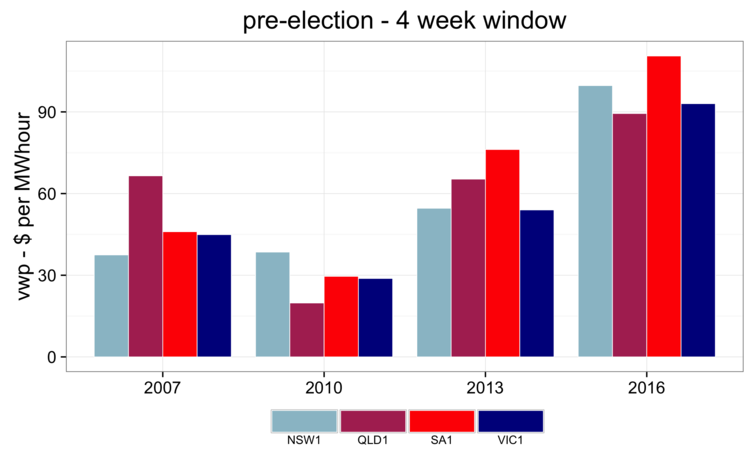 However, this is all a bit strange, because wholesale electricity prices have almost doubled over what they were at the equivalent stage of the last election cycle. Incredibly, they are 300% above what they were in the 2010 election…relevant here because carbon pricing was applied at the wholesale level…While we suspect the Prime Minister really does know this, we also know he is bound by a party room that is still a long way away from abandoning ideology for rationality, on this issue at least. This entry was posted in Events local and tagged carbon tax, climate emergency declaration, cost electricity, election. Bookmark the permalink.